Boney Kapoor’s Reaction To Janhvi Kapoor’s Zingaat is PRICELESS! The peppy dance number Zingaat from the Marathi film Sairat (2016) got the nation swinging to its beats. 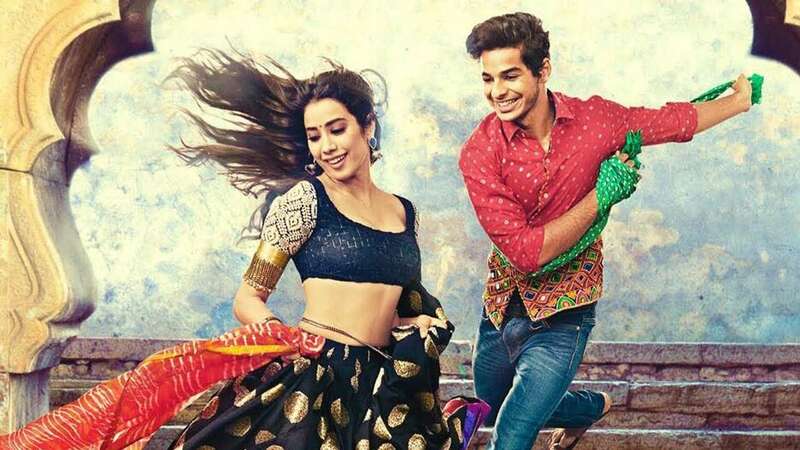 And now, people can’t stop talking about the Hindi version of the track which is part of Sairat‘s official Hindi remake Dhadak, with Janhvi Kapoor & Ishaan Khatter as the lead characters. Zingaat has got over 19 million views within just two days of its release. The Marathi version of the song has 110 million views so far. Dhadak is a remake of the Marathi Film Sairat. It is produced by Karan Johar, Zee Studios, Hiroo Yash Johar and Apoorva Mehta. The movie is slated to hit the screens on July 20, 2018. Big NEWS for Yeh Hai Mohabbatein fans! The show will now be.. Previous story SRK, KJo, Alia, Ranbir & Others at Akash & Shloka’s Engagement Party! Exclusive Pics INSIDE!